will be asked to register for their branch of service. of service they wish to represent. Prices will increase on March 1. Awards will be given by age groups for men and women and for the top three winners in each age group. activities, vendors, bands, food trucks and beverages, along with helicopter rides. 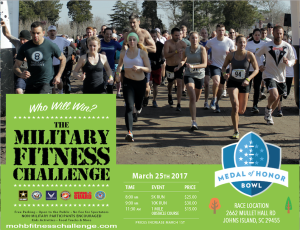 Proceeds for the event benefit the Medal of Honor Bowl and its charities. For more information, please refer to mohbfitnesschallenge.com. O’Rourke who may be reached at 843/345-3915 or at TORourke@ccprc.com. Shelly Nuttall Gardner is the owner/director of WheelHouse Concepts Inc., a firm specializing in strategic sales and events as well as creative project management. * The Medal of Honor Bowl, director of Sales and Marketing. Gardner leads the sponsorship team, oversees the production of events as well as generates community and regional awareness and excitement about The Medal of Honor Bowl through advertising and marketing campaigns. *Taste of Atlanta, director of Restaurants. Gardner works closely with Atlanta area chefs to produce and coordinate the restaurant participation in this festival, which draws 50,000 attendees annually over the 3 day schedule of culinary events. *The Stray Dog Society, executive director. This member based social organization is for supporters (both graduate or non-graduate) of The Citadel. Gardner runs the membership and sponsorship campaign, as well as plans and executes the Society’s many events including the tailgate parties before each home game and the Annual Homecoming Jamboree to the sell-out crowd of 1500. 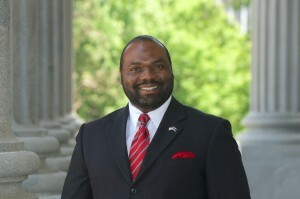 Gardner is originally from Charlotte, and is a graduate of UNC-Chapel Hill. 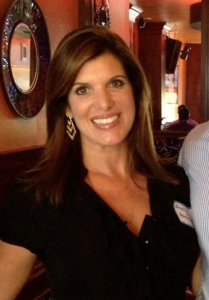 Before starting WheelHouse Inc , she was a surgical sales representative for Medtronic’s neurosurgery division. Native Charlestonian Andy Solomon, who handles the media relations for the Medal of Honor Bowl Game, is concluding his 39th year in athletic administration and his 23rd year as an associate athletics director at The Citadel. Having served in marketing, promotions and sports information capacities since joining The Citadel, Solomon now devotes his efforts on special events and coordinating the school’s licensing program. He also produces The Blue & White, the official publication of The Citadel Brigadier Foundation, and Today’s Blue & White, a weekly electronic newsletter. He is also a Visiting Professor in the school’s Health, Exercise and Sport Science Department and teaches Sports Management courses. He has served as the NCAA representative and tournament director at baseball regionals every year since 2003. Solomon also served a term as president of the South Carolina Athletic Hall of Fame and remains active as a member of the Board of Directors. Solomon was selected as the inaugural Marketer of the Year (1999-2000) for NCAA Division I-AA and I-AAA institutions by the National Association of Collegiate Marketing Administrators (NACMA) and was named National SID of the Year in 1983 by the National Association of Intercollegiate Athletics (NAIA), becoming the youngest ever to win the award. In March 2004, Solomon was inducted into the NAIA Hall of Fame and became the third native Charlestonian to be enshrined in a national sports hall of fame, joining Art Shell (NFL) and Beth Daniel (LPGA). In 2009, he was inducted into Winthrop’s Hall of Fame. Prior to his arrival at The Citadel, Solomon served in athletic administrative positions at College of Charleston (1973-77), Charleston Southern (1977-78), Winthrop (1978-84) and Limestone (1984-88). He was the public relations manager at Wild Dunes Resort in 1988-89, and serves as a media relations consultant for the Charleston RiverDogs, the Class A affiliate of the New York Yankees. Solomon earned his bachelor’s degree from College of Charleston in 1977 and a master’s from Winthrop. He and his wife, Amy, have two daughters, Anna and Addie. 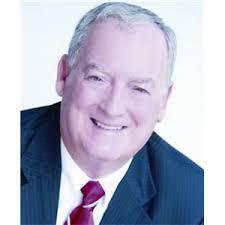 W. Thomas ‘Tommy’ McQueeney is the Chairman and Founder of The Medal of Honor Bowl Game, and works closely with our beneficiaries, The National Medal of Honor Museum and the Wounded Warrior Project. A native Charleston area businessman with a background in sports development he chaired the Southern Conference Basketball Championships and the Charleston Area Sports Commission twice. 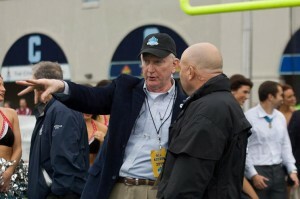 McQueeney also chaired the $44.5 million Johnson Hagood Stadium Revitalization, has served on The Citadel’s Board of Visitors, the MUSC Children’s Hospital Board, and the Patriot’s Point Maritime Museum Foundation. 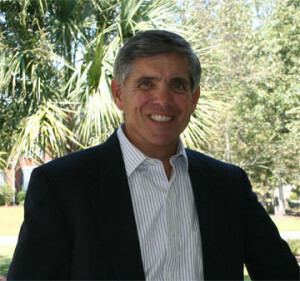 A 2009 recipient of the Order of the Palmetto, he is a local columnist and author. 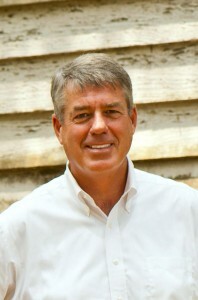 Tom O’Rourke is the Executive Director of the Charleston County Park and Recreation Commission. Tom’s Agency has been nationally recognized for operating an ever-expanding park system without using tax increases to fund growth. Tom has the direct oversight responsibility for over 10,000 acres of parkland consisting of a very diverse offering of parks, programs and services. 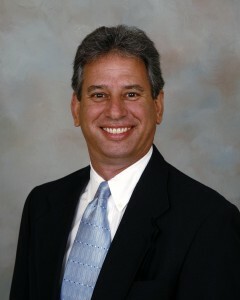 Prior to joining Charleston County PRC, Tom was the Director of the Mt. Pleasant Recreation Department in Mt. Pleasant South Carolina, and also worked as Manager of the Sports and Recreation Division for Seamon Whiteside and Associates a Landscape Architect and Engineering firm. Tom’s first job was as a high school Athletic Director and Coach. Currently Tom spends a significant amount of time educating park and recreation professionals. In the past three years he has spoken at 13 different State Association Conferences and has presented sessions at the NRPA Congress for the past 12 years. He is on the Board of Regents at the NRPA Revenue School, The NRPA Directors School and a past member of the Supervisors Managements School Board. 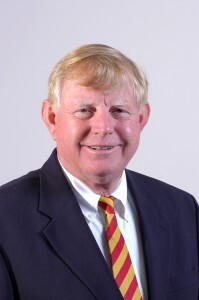 Tom is the Chair of the Clemson University Parks Recreation and Tourism Management Advisory Board, and the Chair of the Charleston Area Sports Commission Board of Directors. Recreation is his profession, but his passion has always been coaching. Tom currently is the Pole Vault Coach at Hanahan High School. Hoyt “Rusty” Holt, Jr. serves as the Medal of Honor Bowl’s Operations Director. 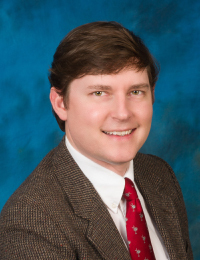 Having recently retired from a successful insurance career at New York Life, Holt is an active member of Savannah’s Sports Council, and a charter board member of the Savannah Hockey Committee. Holt was the presiding force behind Savannah’s Inaugural Rock n Roll Marathon in 2011. Holt is a proud graduate of The Citadel’s class of 1973, earning his B.S. in Business Administration and lettering in both football and track. In 1988, Holt was inducted into The Citadel’s Athletic Hall of Fame for his excellence in both sports – football and track . Originally from Mullins, SC , he currently shares his time between Savannah and Charleston with Mignon, his wife of 39 years. They are the proud parents of 3 children and 7 grandchildren whom they delight in spending time with. In addition to his love of sports, and his involvement in The Medal of Honor Bowl, Holt is an avid outdoorsman who enjoys boating, fishing, hunting and riding his Harley Davidson. Senior Financial Executive with more than 35 years of achievement improving corporate financial performance through financial leadership in banking relations, operations, mergers and acquisitions, organizational development and global systems integration. Raybon has served in senior financial leadership roles with both Northrop Grumman and Litton Industries. Additionally, he has served as an interim CFO in several smaller equity backed businesses. A 1974 graduate of The Citadel he has also attended executive level leadership courses at both Harvard Business School and Wharton. He is a licensed CPA, a retired Commander, Supply Corps. USNR and resides in Mt. Pleasant, SC with his wife Vicki. Cal McCombs enjoyed a standout career as a track and football athlete at The Citadel, graduating in 1967. His coaching career included stints at The Citadel, the United States Air Force Academy and as Head Football Coach at VMI, where he was named both State of Virginia Coach of the Year and Southern Conference Coach of the Year. McCombs also spent five years as a top player development scout for the Denver Broncos of the American football League. Through these experiences, he gained a solid reputation for assessing draft-level NFL talent. His skills in the area of quantifying NCAA football talent brings an enormous asset to the Medal of Honor Bowl. He coached on the winning American Team in the inaugural Medal of Honor Bowl in January of 2014. McCombs is a native of Belton, SC, and lives on the Isle of Palms with wife Lynn. They have three children and six grandchildren. 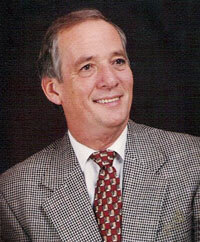 Austin B. Atkinson, J.D. is an NFLPA Certified Contract Advisor and is a registered Athlete Agent in the State of South Carolina. Austin earned a B.A. in Political Science from The Citadel in 1999, and a Juris Doctor degree from the Charleston School of Law in 2011. As an NFL agent, Austin was able to put players from the FBS, FCS, and Division II levels of college football into NFL camps in recent years. His eye for talent at all levels of football is invaluable in his personnel role for the Medal of Honor Bowl. Active in the community, Austin has served as the Vice-Chairman of the Town of Mount Pleasant Board of Zoning Appeals, member of the Town of Mount Pleasant Historical Commission, Past-President of the Mount Pleasant Sertoma Club, assistant coach of the Wando High School boys lacrosse team, and is a member of the Theta Commission of Kappa Alpha Order. Austin lives in Mount Pleasant with his wife and children. Mr. Hamlin’s strong success in video and television projects for the nation’s leading nonprofit and sports organizations has helped him network across a broad range of corporate, celebrity and charitable leaders to achieve important goals. He founded AdCraft Associates, which became recognized as a national leader through innovative marketing. After selling AdCraft Associates to Host Communications, Roy’s next venture, NorthStar Visions, took an innovative approach to a marriage between the sports and entertainment worlds. His Fairway Productions Group has been a leader in television concepts and production. Mr. Hamlin has produced numerous sports publications and live television broadcast programming, while developing many of today’s accepted sports traditions, including the National Championship Trophy Program, Director’s Cut (Div. I, Div IAA, Div III), Basketball Poll, Women’s Basketball Poll, Football Coaches Poll, Baseball Coaches Poll, Baseball National Championship Trophy, Mohamed Ali Museum and the PGA of America Library.